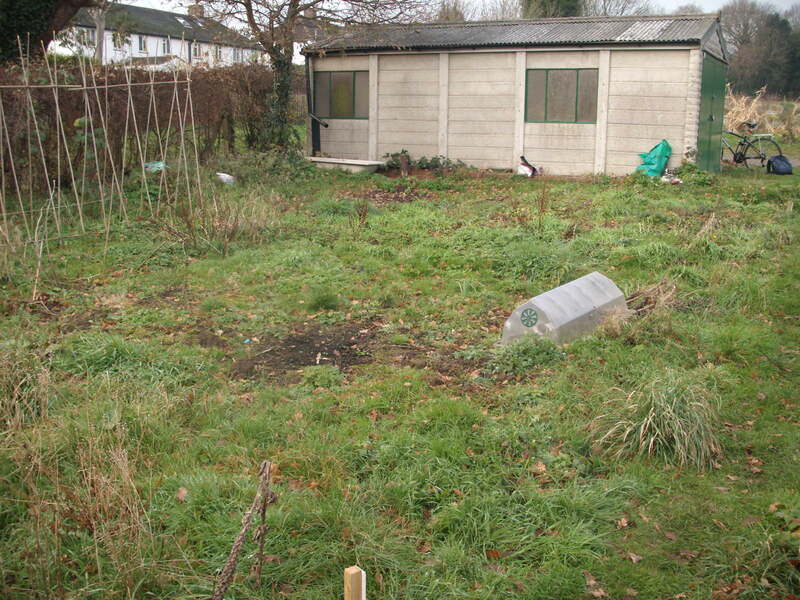 It’s been just over 9 months since we got our very own plot on an allotment site in Reigate, and we’ve used that time to apply permaculture to food growing. On this post, I’d like to share a couple of photos to help convey some kind of pictorial overview as to changes that took place on our permaculture plot during that time. You can see lots of grass and weeds. The plot had not been worked on for many months as the previous plot-holder was suffering from poor health. After taking stock of the plot and reflecting on how to move forward, we thought that realistically it made sense that we work primarily on about half of it for the first year, and also use that time to gain more familiarity with the site. 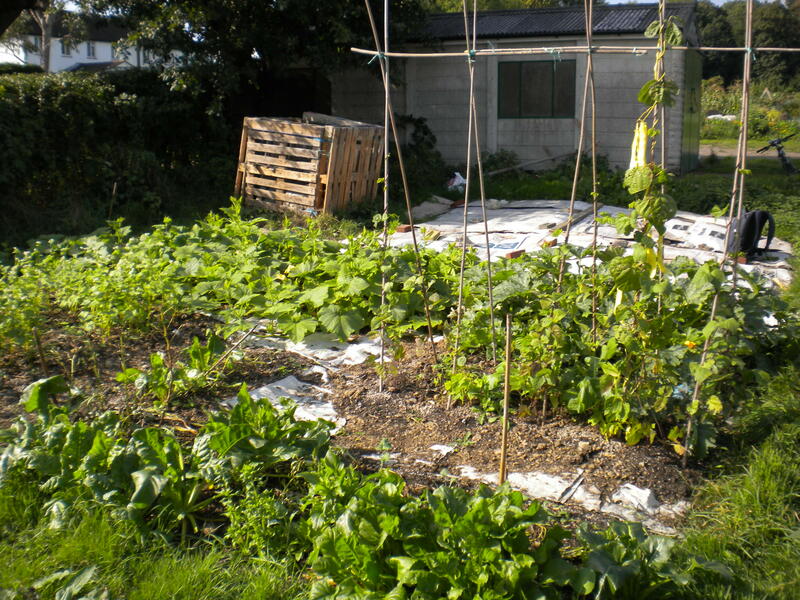 We were committed to using permaculture principles, no insecticides/herbicides (i.e. organic) and to working with the plot without digging. Early on, we built a compost structure from reclaimed wooden pallets (top part of photo). The area we’ve been growing on is about 16 square meters. We divided it into four beds, two are horse shoe shaped and two are rectangular. and yes, we did manage to work on the weedy site to grow all this food without digging! (A couple of open workdays helped, so thank you to everyone who came down for them). Hopefully I’ll get a chance to share more about how we did this on a future post.